I love cycles. I like to see multiple twists on the same theme, to see all the different ways they can be expressed. 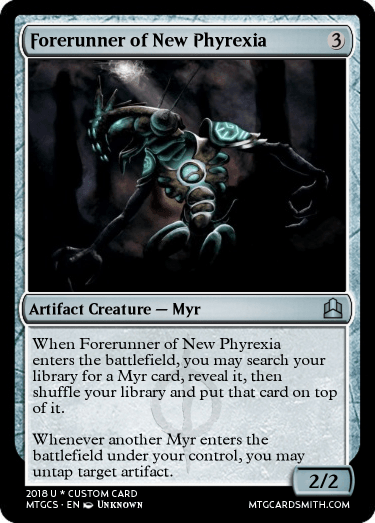 Today my challenge for you is based around two cycles, one from a decade ago, the other appearing in the latest set: the Harbingers and the Forerunners. That's right, this challenge is also Tribal! Show me your best tribal tutor dudes! 1. 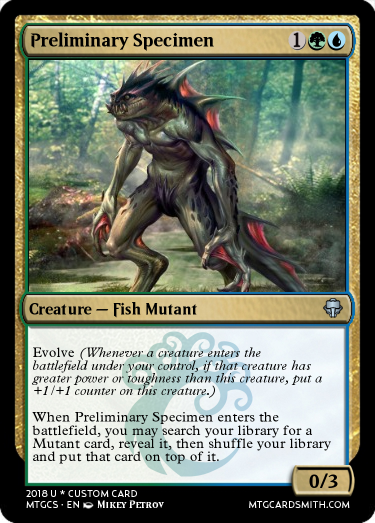 Cards must be creatures (or become creatures). 2. 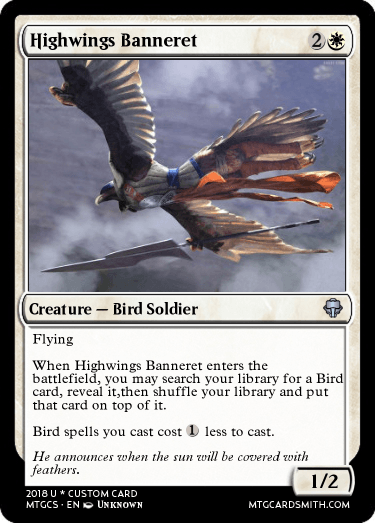 Cards must help you get a card of a specific creature type. 3. 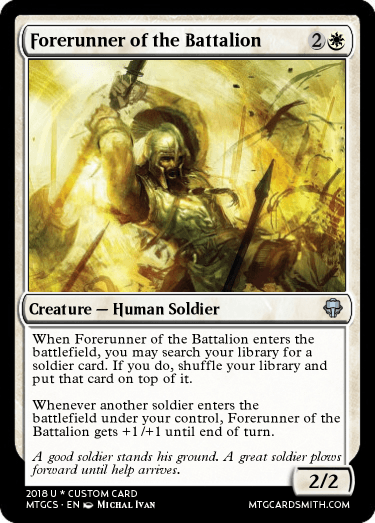 The card name must include a word like Harbinger, Forerunner, Forebear, or some other terms that indicates that they're the first of many. Break out your thesauruses! 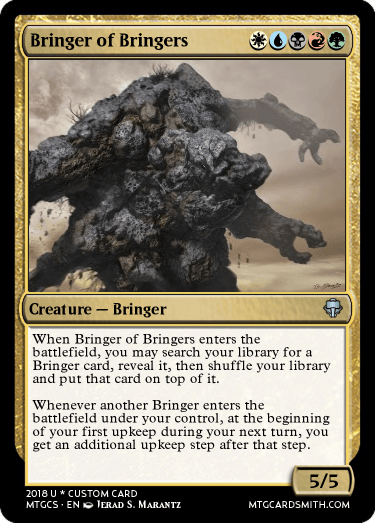 BONUS: It's not required, but I love cards that synergize well, so if your creature has a secondary ability that plays well with the tribe in question, that's a definite plus for judging. First place- Four favorites, available on request. Honorable Mentions- A fave for your submission. Judging shall be in roughly two weeks, depending on my schedule. We'll aim for February 11 or so. Criteria shall be flavor, creativity, synergy, balance, grammar, i.e. the usual things. 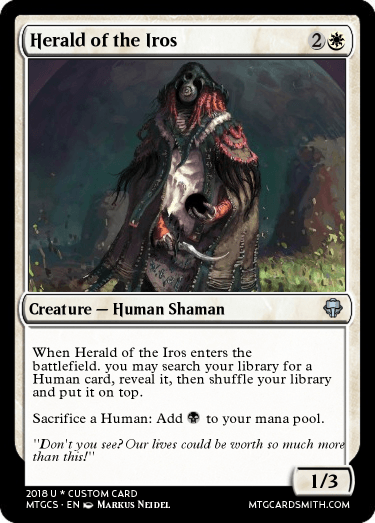 -Yes, your creature can be a different type than the tribe it tutors for, as long as the flavor for that makes sense. See Forerunner of the Empire for a good example. -Yes, you can break the tutoring format established by the official cards. Putting the card into your hand instead of on top of your library is fine. So is searching other zones like exile or the graveyard instead of the library. -Yes, you can make the card a rarity besides uncommon. All power levels are welcome. -Yes, you can make a Forbinger for your own custom tribe. 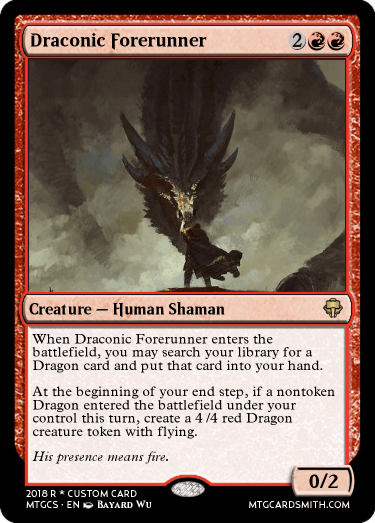 You should probably link me to some of those cards though, if you want me to get the full effect of flavor and synergy, if applicable. -If you're trying to evoke a specific sub-group of a tribe (e.g. Ixalan Vampires as opposed to Innistrad Vampires), just let me know and I'll take it into consideration when judging. Have fun, and happy cardsmithing! If this isn't "serious enough" I can make something different. @NicolBolasFTW , no one said it had to be serious! 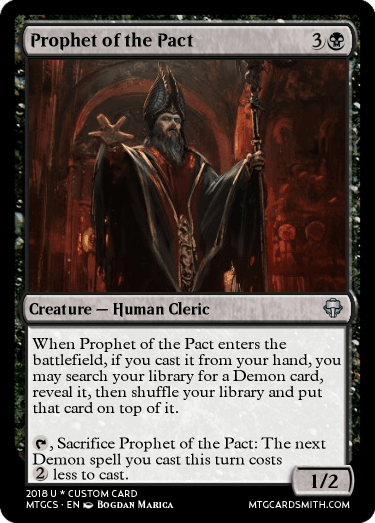 And it's been a long time since I've seen a Bringer card. That takes me back! I added some morningtide bannerets flavour to it, I hope you loke it. 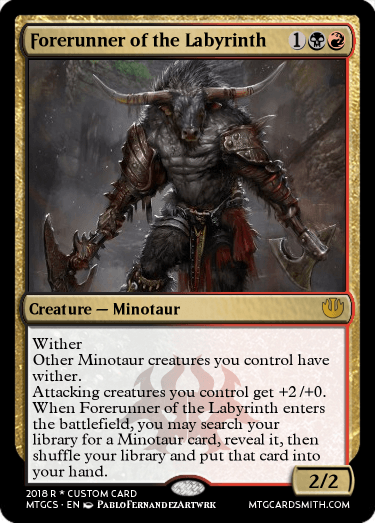 I felt journey into nyx had the best minotaur cards collectively thus far in mtg, and if you google what is a minotaur a lot of the definitions described them as being found in labyrinth mazes, so thus the name Forerunner of the Labyrinth. @sanjaya666 , while I like your design, it doesn't meet the rules of the challenge. 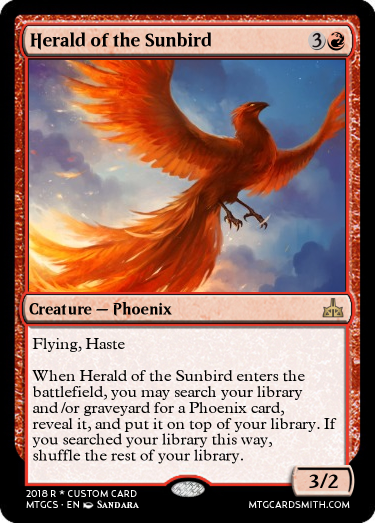 You need to tutor for a card with a creature type. @Platypusburger Well... sorry about that. Didn't really read that part anyway. Alright, gonna do something about it later then. (Currently) my first entry. Thoughts? Join me @Mrbobblehead on the great Homarid revolution. We will claim the throne of the greats and usurp the corrupt to install the glorious crustacean kingdom. First entry: The second ability is one I had hoped Ulrich would have. 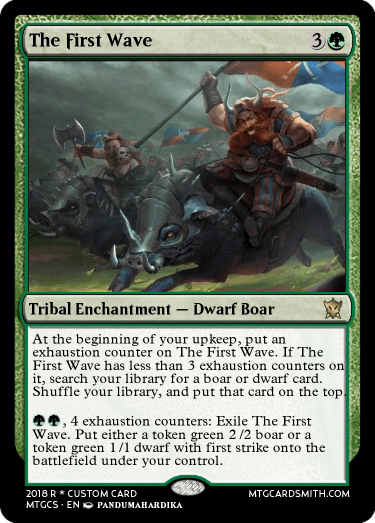 Lost flavor text: "Here they come!" An homage to old-school tower defense games. 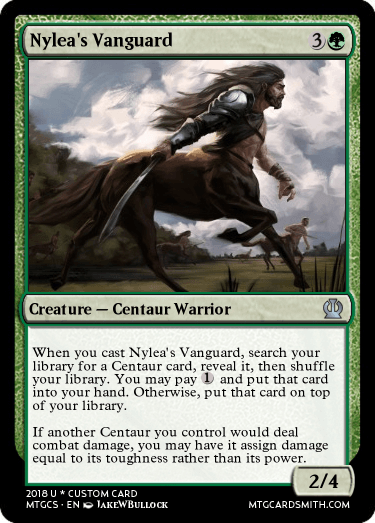 Does exiling and bringing a creature onto the battlefield count as "becoming a creature"? 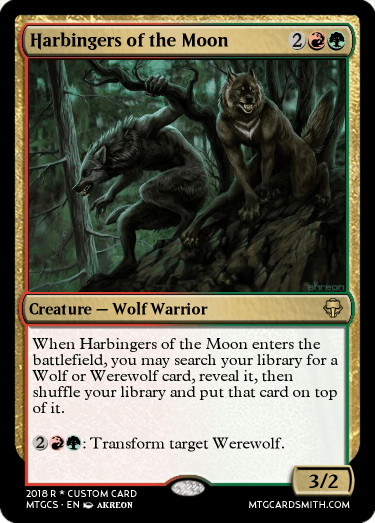 If only Harbingers of the Moon was a real card... nice card @AtlasXII! 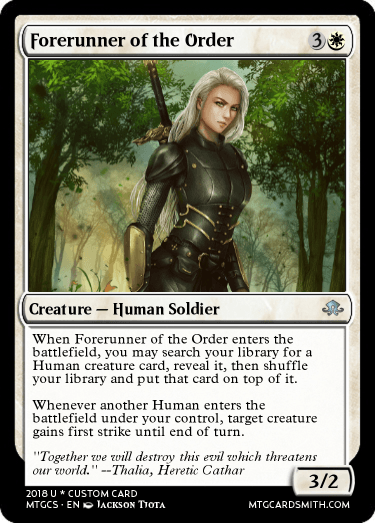 @HeroKP Does exiling and bringing a creature onto the battlefield count as "becoming a creature"?